PHOENIX -- A 14-year-old boy rescued his dog from a house fire after he had to jump off of a school bus on Friday morning, according to Capt. Aaron Ernsberger with the Phoenix Fire Department. Capt. Ernsberger said the boy was on his school bus and saw that smoke was coming from his home, reports CBS affiliate KPHO in Phoenix. He jumped off the bus and opened the back door to his house so his dog could escape. The fire in north Phoenix appeared to cause some significant damage. It started at approximately 7:30 a.m. at a single-family home near 15th Avenue and the Loop 101. Firefighters have not reported on any injuries or the cause of the fire. 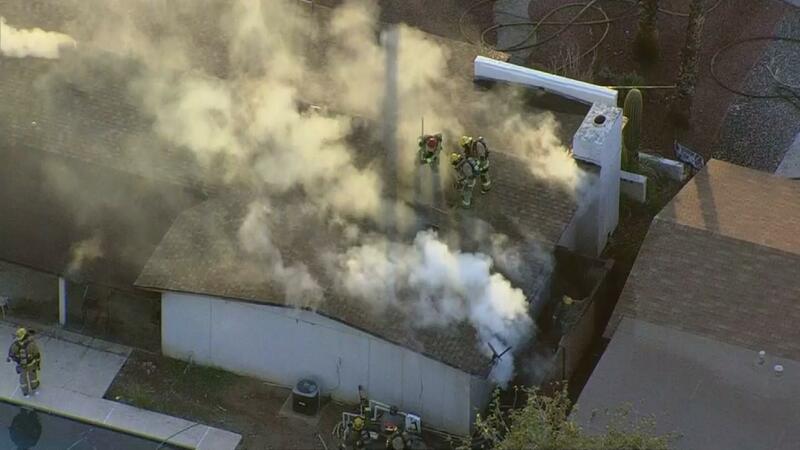 An aerial view of the scene showed thick smoke billowing from the home and at least four fire trucks on the scene.